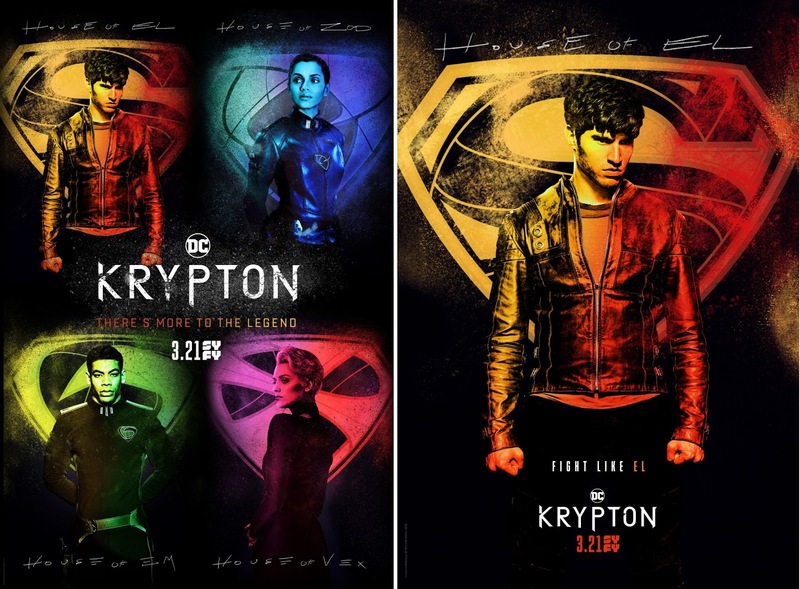 Tonight, March 21st, at 10/9c is the world premiere of the new live action DC Comics television show, Krypton, on the Syfy network! While a show about Superman’s grandfather and the golden age of Krypton sounds cool enough on its own, but what really puts this series over the top (and makes it a must watch for The Blot) is that it stars DC’s iconic b-list sci-fi super hero, Adam Strange!!! 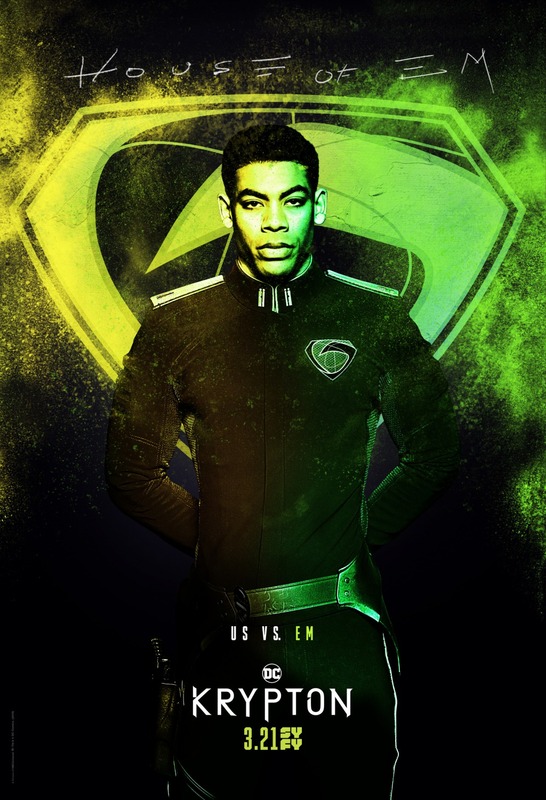 You know DC is killing it on TV when a character like Adam Strange is leading a new series on a new network. 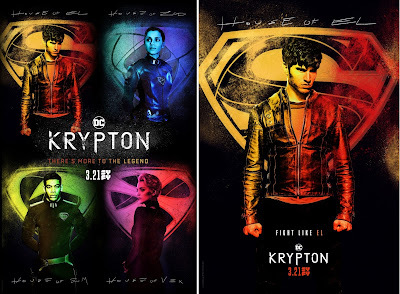 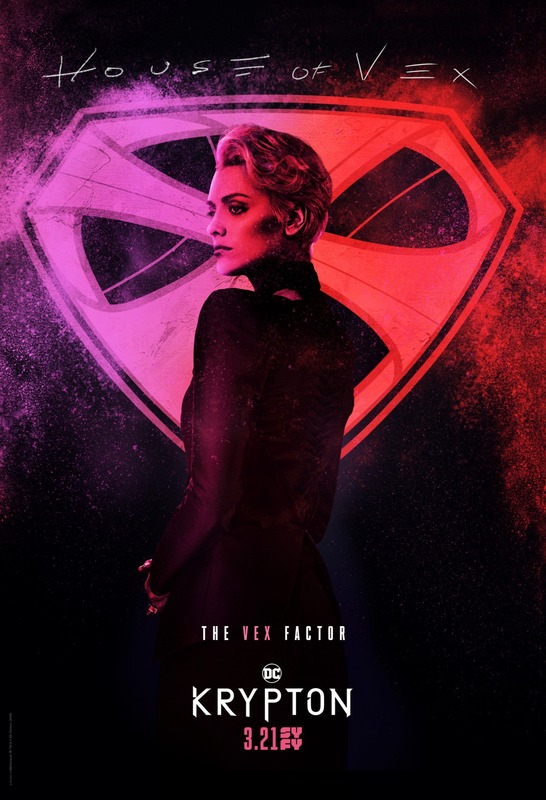 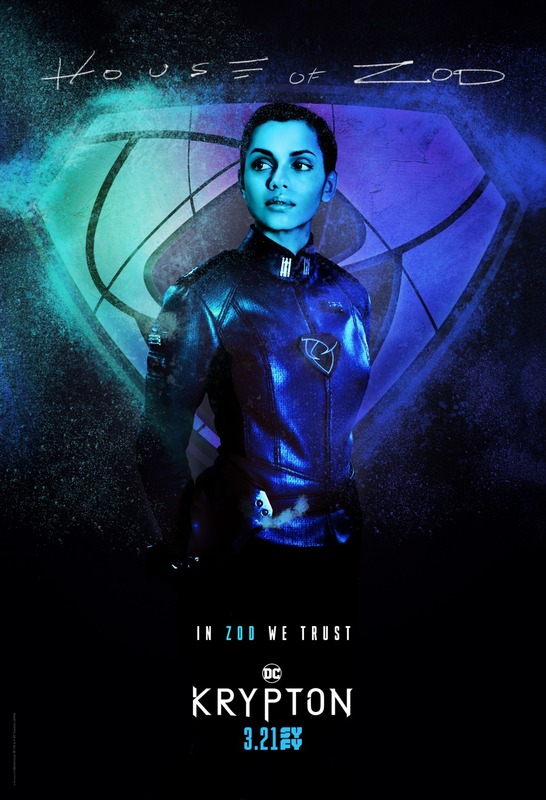 In anticipation of tonight’s series premiere, check out these cool Krypton television series one sheet teaser character posters featuring the four houses of the planet Krypton.